Initial Reaction of Book in One Word: Hmph. Beauty and the Beast is one of my favorite things (hello, have you seen the name of my blog? 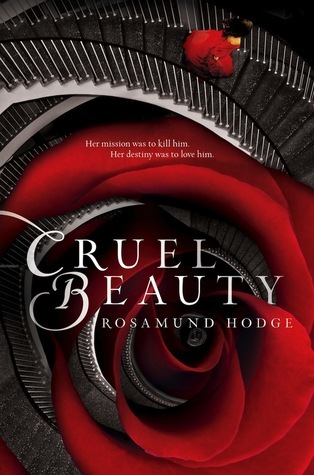 ), so when I first heard about Cruel Beauty I instantly wanted to read it. A retelling of a favorite movie (I know, I'm behind on reading the actual fairy tale, but I vague bits and pieces)? YES, PLEASE. And the pretty cover doesn't hurt, either. So when I finally got to reading my copy, I was hoping for something amazing. Unfortunately, what I got instead was more of a mess. I don't know that fantasy's my thing, but I've been getting more into it lately, so that didn't bother me. What may have bothered me was the mythology. Mythology is not my thing. In fact, I kind of hate it. (Please don't make me go through The Odyssey ever again.) And that aspect of the book kind of troubled, because I didn't really understand it all the time. (And the odd names don't help anything, either.) I don't think I understand how things worked for half the book, and especially the last forty pages or so. That completely confuddled me, and while I slightly know what happened, I don't know that I'm right. By the end of a book I should have all the answers and know what happened, but I'm not so sure that happened here. While the book got better, it started out rough. I almost felt a hatred toward it at the beginning (which went away), but my gosh, it was ridiculous. (And, side note, the font, though I got used to it, drove me crazy. Something about it just BUGGED me. Maybe it was the spacing, or maybe that the dashes looked like hyphens, and the size of the punctuation made it hard to tell comma from period and colon from semi-colon--which may have been overused, by the way.) And I don't know when and where this book was set, and that's something I'd like to know. I also have a problem with the romance. Don't get me wrong--I like romance (love it, actually), and tend to get bored when there isn't any. So I was happy that this book had romance. BUT. It wasn't my favorite romance. I never felt strongly, like OHMYGOSH I SHIP IT SO HARD, about any of it. Sure, I wanted certain people to be together, and I was happy when they were together, but there were issues. For instance, romance progressed too quickly. Like, why are you talking about love or making it when, from my POV, you've known this person for like five pages? The characters were nothing spectacular, and while they made some interesting decisions, I wouldn't say hated any of them. (Well, I wasn't too fond of Nyx's sister, Astraia.) Nyx could be described as rude, strongheaded, and a b-word--though what would you expect from someone who was raised to marry an evil guy and kill him? Her POV wasn't unbearable, but it got better throughout the book. I liked Ignifex all right, though he was an odd character. I'd say more, but I want to avoid some spoilers, though I will say that I liked Shade, even he, too, was odd. Despite the confusion and messy feel the book had, the writing was bad. It was nice, and had some pretty detail with it. I wouldn't say no to reading something else from Rosamund Hodge. As for the ending of the book...what even happended? I DON'T KNOW. I liked this book, and I might like it a bit more over time, but something just didn't work and it drove me slightly crazy. What else can I say? It was a good book, but something prevented it from making it feel like a good book? I devoured it okay, but still...You know, with this book, I just don't know. Did I like it? I'd say I liked it. Would I purchase it? 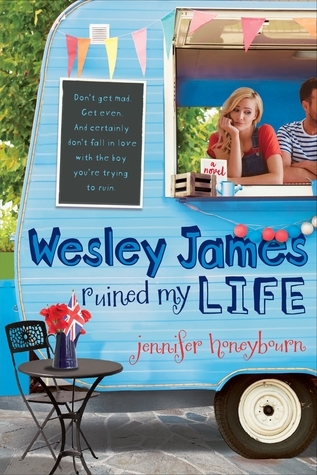 If I needed it for a signing (the author's local) I might, and the cover's pretty, but I'm not like "oh my gosh, I need a finished copy NOW!" Who would I recommend it to? I think fans of mythology will like this one, and if you like fantasy and Beauty and the Beast, give it a try. I actually loved this book, but it is definitely not for everyone. It's strange and confusing at times, and you really have to just go with some of the things that happen in order to enjoy it. I liked the quirkiness of the characters and even though I didn't like Nyx very much, I appreciated how different she is from most YA characters. I really loved it, probably because of the mythology, it was definitely more mythology based than a retelling (and with me, it depends on what the retelling is, because I'm not too much of a fan), but I do get your issues with the book, and like always, everyone's not going to like it, and everyone's not going to love it. That said, I'm so with you on Astraia. I couldn't stand her. Really, really couldn't. It's a bummer that this one didn't work for you. I happened to love it, but I've always been a big mythology fan. It's always interesting to see the flip side of a book that you really loved. I can see why it didn't work for you. I liked how it was really different. Glad that you liked her writing though! Yay!